Let’s say you want a domain name — for the purpose of this explanation, we’ll use adomain.com. Let’s break down what a domain name is first. And to do that, we’ll need to break down and define what a URL is. URL is an acronym for Uniform Resource Locator, which in layman’s terms, means an internet address. This is the communication method with which one computer speaks to another. Just as we’re using the written English language in this website as our communication method for our visitors, the computer systems that make up the internet have their own “languages”, known as protocols. For example, HTTP stands for HyperText Transfer Protocol, which is one of the methods used for computer communication on the world wide web. HTTP is used to transmit web pages or other files to the person requesting them. FTP: File Transfer Protocol – used for uploading and download files. E-mail: uses POP, or Post Office Protocol, to receive mail; and uses SMTP, or Standard Mail Transport Protocol to send mail. Looking at the above diagram, you may be surprised to learn that you already knew what a domain name is, but didn’t know the term. Basically, a domain name is a unique phrase that makes up every WWW and email address… a “mailing address” on the Internet where the “address” is a word or phrase that points to a particular site. (country extension) – these will be used more frequently, if not exclusively for new domains in the near future. Why? Because we’re running out of useful names. (How many times have telephone area codes been changed in the last 10 years to accommodate the abundance of new phone numbers requested?) A domain with a country extension will look like Your Domain Host.us (United States), or Your Domain Host.fr (France).Some country code TLDs, like .cc, .to, and .ws, are available to anyone who wants them. Others, like .ca and .br, are only available to citizens of the issuing countried. A particular page or file that a domain’s web site offers for viewing. Okay, domain name, I get it… now how can I get one? The first thing you need to do is select a domain name. It may sound easy, but remember, the internet’s been around for a while now and the name that “pops off the top of your head” may already be taken. You need to do your homework to find out what will work best for you with the domain names that are left. A good idea is to write down several names before you check availability so that you won’t pull out your hair until you after find the last domain name on your list is taken. For some advice on choosing the perfect domain name, CLICK HERE. Next, you want to take your list of possible domain names and see if they’re available. For 3-letter, top level domains (TLDs) such as .com, .net, and .org, you need to visit a domain name registrar, and check to see if the domain is available. For 2-letter TLDs, you have to visit the appropriate country’s registration agency. You can also fill in and submit the form below. Once you have established that adomain.com is available, you need a place to put it. A domain host is used for this purpose. Why do I need a Domain Host and what do they do? Have you ever seen a URL that looks like http://75.98.175.77? Well, it may surprise you that 75.98.175.77 is equal to Hosting Manual.net. Currently it’s a shared server so you cannot reach the website through that IP address, but if it was on a dedicated server you could reach it by typing in those numbers. You get that IP number from a domain host. A domain host is a company that has a bank of internet servers (a series of computers with high-speed, 24-hour connections to the internet) and has purchased a block of these identification numbers for distribution. So when you sign up with a domain host, a domain hosting account is set up with your anticipated domain’s name. Your account will have (at the barest minimum): server space for your internet files, the ability to upload and download files to/from your account on that server, access to e-mail, etc., (features vary widely between different domain hosts) and that elusive IP number. After you have an IP number, it’s time to register your domain. Either you or your domain host will register your domain with a domain name registrar. After you receive confirmation that your domain is being registered, all that’s left to complete the domain name registration process is sit back and wait the 3-5 business days for InterNIC to correlate your domain name with your IP number. (That part’s easy enough, isn’t it?) In the meantime, you will have access to your domain hosting account (via your IP number) so that you can set up your web site(s). After your domain is registered, you’re on the internet with your own domain! The Domain Name Server (DNS) system kicks in. Every registered domain name is associated with a Domain Name Server (DNS). ISPs and web hosting companies maintain domain name servers that link domain names to their particular server space. In addition, there are 13 or so Zone Name Servers that link every domain name in the world to the appropriate local nameserver. 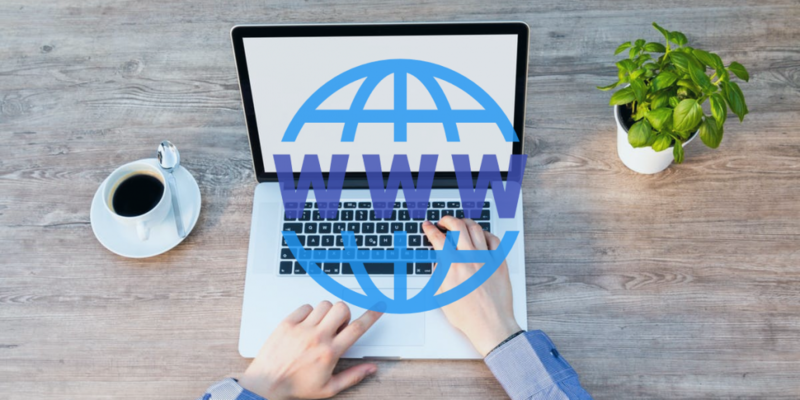 ISPs and web hosts update their name servers as needed to reflect additions and changes to the domain names on their systems. The Zone Name Servers are updated twice a day to accurately map user-friendly Internet addresses to computer-friendly numeric addresses (among other things).